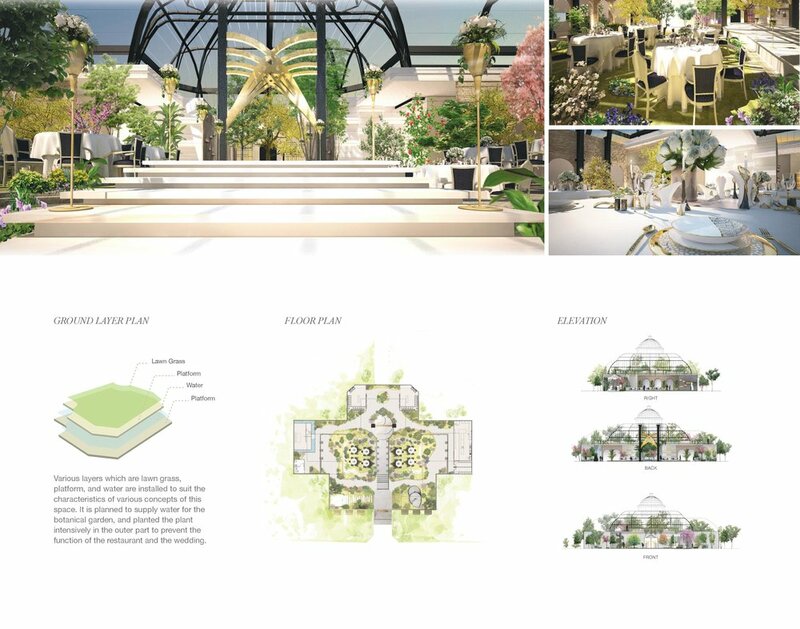 This is a project that was made a new brand and brand space called “PARDIS.” It has diverse purposes such as Wedding hall, Botanical Garden, and Restaurant. Recently, in South Korea, the rate of marriage is declining drastically, and many young people prefer small wedding that can more enjoy the wedding with their families and friends than a current wedding in general wedding hall. However, there is not much place for small wedding in South Korea. So for these reason, through this project, I tried to propose a place to eat food, enjoy the nature in the middle of the city as well as host an unforgettable wedding. With efficient utilization of space, it offers a new experience to visitors which enhance the abilities of this space by having varied purposes.